Brixton and jerk chicken go together. Despite all the changes that are taking place in what’s available to eat in Brixton, it still has more places serving West Indian food that any other type. 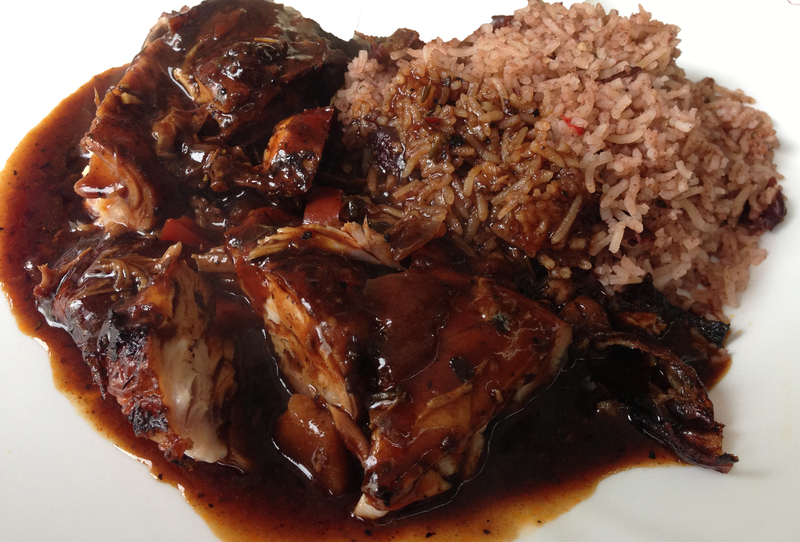 For almost all of them, the signature dish is jerk chicken. But which one serves the most authentic and the best? Answering the question is bound to be controversial; everyone who is into jerk chicken has their favourite. So we decided that we had to try them all, or at least those that specialise in takeaways. There are, of course, a few proper sit down places that also serve jerk chicken – see, for example our reviews of: Bamboula; Fish, Wings and Tings; Negril; and Veranda – but in our mind it is more enjoyable as a takeaway. One of the eatinbrixton team has lunch in Brixton most days and, over the last couple of years, he has been enjoying himself giving all the jerk chicken joints in central Brixton a try. This research led to a shortlist of six and then, to ensure an independent view of which was the best, we invited friends and family to a blind tasting. There were nine of us round the table, with ages ranging from 24 to 81, and, it worked surprisingly well, although pedants might argue that the amount of Red Stripe that was consumed will have affected the results as the evening wore on.